Been hoping to do the MKO Abiola/June 12 thread as promised before now but events are sometimes beyond one’s control. Seeing as tomorrow (June 12, 2018) is the 25th anniversary of that date, I’m sure it is definitely a good time to do it. And so, here goes: a Thread on MKO Abiola and June 12. Even more interesting, the June 12 story itself is a most complicated one with many sides but mainly two – the political and the ethnic; and two other ones – the activism around it and on a lesser scale, the family involvement. The common thread though is Abiola himself. MKO Abiola was a man of very many parts but I’ll restrict this as much as possible to his politics or anything else about him related to his politics and the politics/struggle of June 12. Some say he’d been an NCNC member in the First Republic but I haven’t checked this yet. If true, then that puts him as a Zik follower, at least as part of the Youth Wing – what is confirmed though is that he was with the NPN in the Second Republic and the NPN was a national party, contrary to what many historians from the SW and abroad especially like to claim. UPN and NPP were essentially SW and SE parties because of Awolowo and Zik but their northern rivals, Ahmadu Bello and Tarawa Balewa had been killed in 1966 so they were not in any party as at 1978 – but historians like to claim the NPN was a Northern party, to balance it out. Abiola was a major pillar of the NPN although the SW was firmly under the UPN so he made little headway but frustrated Obafemi Awolowo greatly as an irritant who had major money to spend for his party in the Ogun State they both came from. His wife, Simbiat Abiola, ran for a Senate seat in Ogun in 1979 (which may mean that the story that she opposed Abiola’s political involvement in latter years before she died in 1991 may not be true or something changed afterwards). Anyway, MKO Abiola was with NPN as at 1979. Some say that the initial agreement had been that Shagari would only serve one term and handover to a South Westerner (which may not be true as the SE was also positioning to run after Shagari) – the party chairman Adisa Akinloye actually wanted to run but quickly pulled back. Abiola though continued to try, until the then Minister of Transportation (Amaechi’s predecessor in office and perhaps character), Umaru Dikko bluntly came out and said “The Nigerian Presidency is not available to the highest bidder.” And Abiola and his money went home quietly. He was quiet only outwardly though as some say he began to fund coup plotters in the army, which eventually led to the ouster of the Shagari Government on December 31, 1983. But every coup needs one other thing to succeed: media support and it got it overwhelming from the SW media.The SW media was largely pro-Awolowo and anti-NPN and so they announced the coup against NPN as divine retribution for the ‘moonslide rigging’ of 1983. Abiola had founded Concord newspapers in 1980 (or so) to counter the media strength of UPN but was now anti-NPN. The recessionist tendencies of the military junta headed by Buhari soon manifested and everyone regretted the coup, including Abiola who then began to finance another coup which happened in 1985 and brought Babangida in. The Concord openly celebrated his ouster at this time. Now, Babangida’s transition was a never-ending one, although the dilly-dallying led to a very deep political research on Nigeria’s future through the Political Bureau until FEDECO (as the electoral umpire was then called) held LGA elections on a no-party basis in 1991. The LGA elections were fraught with so many irregularities and pressure from the military brass that pushed Eme Awa, the head of FEDECO to resign. Following this, political activities were resumed and politicians began to regroup as Humphrey Nwosu announced party registration. Nwosu was a protégé of Eme Awa as they both came from the same Political Science Dept of a University in the SE (can’t remember and don’t want to google). 13 or so political associations applied for registration, all were summarily rejected and Government announced two parties. The SW leaders had wanted to participate in the elections – against the wish and advise of activist organisations like CD, CLO and others at the time but their association was also rejected and so they decided to boycott he whole transition thing based on ‘principles’. Nwosu’s NEC (as the electoral umpire was now called) announced two parties: Social Democratic Party SDP And National Republican Convention NRC. Ige summarised both as “2 sides of 1 coin” and said “Parties form Governments, Governments don’t form Parties”.God bless his memory. Some SW people however decided to participate and supported Olu Falae who was friendly with the Afenifere at the time but not then considered a core of the group yet because he had served under IBB and so the SE leaned more towards the SDP but both parties had national spread. As it is now in politics where if the chairman comes from the South, the Presidency goes to the North, it was also then: SDP had Babagana Kingibe against Mohammed Arzika and Kingibe, backed by Shehu Musa Yar’Adua who was then a force at the head of a major bloc in the SDP won. The NRC had Hamed Kusamotu as its first Chairman (although a Northerner I think contested against him for the post). So it was almost certain that the SDP would field a Southern presidential candidate while the NRC would field a Northerner but politics is a game of numbers. To digress a bit: both parties contested elections from State Houses of Assembly to Gubernatorial and National Legislature and were almost evenly matched: NRC had more Governors (16 to 14 in 30 states at the time) but SDP had more federal legislators than the NRC. For the presidential candidacy, Olu Falae, Shehu Musa Yar’Adua and several others including Lai Balogun vied in the SDP while Umaru Shinkafi and Adamu Ciroma were the major forces in NRC. Babangida didn’t like any of them and soon cancelled the primaries of both parties. Furthermore, all 23 presidential aspirants were banned from contesting again and a New Breed was asked to show up. This was how Abiola got into the race with SDP to inherit the Falae bloc, while Yar’Adua drafted Atiku Abubakar as the one he would back in the SDP. So that was Abiola’s re-entry into the politics of Nigeria – he had since the 2nd Republic become known more as a philanthropist than as a politician, donating freely to all Nigerians and picking chieftaincy titles across 68 communities spread all over Nigeria. In one year, he donated 1m to each federal university, 500k to each state university and 250k to polytechnics. He also became a champion for Repatriation – that America should pay African countries for slavery – a campaign he took across the continent and the world. Abiola’s repatriation cause was so strong that till today, I know some seniors who still believe that his death in the presence of US officials whom he took tea with was not coincidental because they feared if he became President, he would push the cause even harder for Africa. Abiola donated freely to the anti-apartheid cause in South Africa and the black liberation causes across Southern Africa as well as in the US where he supported many civil rights causes and endowed chairs in various civil rights researches at top American universities. For his efforts, he was honoured by the foremost NAACP and the Black American Congressional body. Back home, nothing indicates he had any particular fondness for the Yorubas except that he himself as a Nigerian had to come from somewhere and he came from he SW.
Of course the Yorubas embraced him – and very tightly so in fact – money does that some times. In fact, kings were scrambling to give him honours – the Olubadan of Ibadan at the time, Oba Asanike, gave him the Basorun title and as soon as he got home, the Alaafin called him. The Alaafin told Abiola that he was to be bestowed with the title of Aare Ona Kakanfo – a title that had never been held along with the Basorun title by any living individual prior to that time. Meanwhile: I wasn’t there o, these are things I read and many elders also swear by. The conferment of the Kakanfo title along with Basorun didn’t go down well with one of the Alaafin’s chiefs – Ashipa, and he headed to court to file a motion to prevent it. Erudite Lawyer Afe Babalola was briefed by the Alaafin and he headed to court to be joined in the matter.They say at the time that such motions are usually passed summarily before hearing from both sides would be fixed but Afe intelligently manoeuvred and claimed that the Alaafin should also have his say before any motion to suspend the conferment is passed. Afe successfully halted the Ashipa’s motion only two days or so to the conferment, for which many international dignitaries had flown into Nigeria to support Abiola and Abiola became the only Yoruba man to hold both the title of Basorun and Aare Ona Kakanfo. The belief that SDP wasn’t accepted in the SE is a conclusion of surface political analysis by lazy journalists who like to resort to ethnic archetypes to justify political failings or success. SDP in truth, won only one seat in the SE – Anambra through Chukwuemeka Ezeife. But if you research deeper, the SDP should have won heavily at the time in the SE but internal politics was often a problem. Take Imo for instance: Arthur Nzeribe was the be-all and end-all of Imo politics at the time and he was in SDP but there was a political problem. Other stakeholders wanted Ezekiel Izuogu as the candidate but Nzeribe imposed Fabian Osuji as the party candidate. The court however overruled him and rather than pick Izuogu, Nzeribe who was close to the military regime, drafted a Local Govt Chairman, Alex Obi instead. So most SDP stakeholders supported NRC in the gubernatorial election and then little known Evan(s) Enwerem became Governor. And it happens in politics, in fact, it is how NRC won Lagos due to the SDP infighting between Dapo Sarumi and Femi Agbalajobi with Yomi Edu emerging. 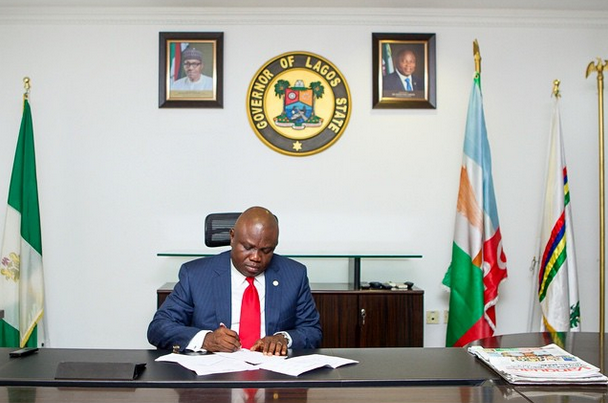 To say that Michael Otedola’s Victory with the NRC in Lagos was due only to the SDP infighting though would be lazy – but that’s a story for another day (hopefully) – because they ran a strong campaign and had some strategies which PDP should be using now with the APC. Back to SDP: aspirants vied but nobody mustered enough votes so three aspirants squared off: Atiku Abubakar, backed by the Yar’Adua machinery; Babagana Kingibe, backed by the Governors; MKO Abiola, backed by himself mainly and the Yoruba minority who were still in SDP. Abiola’s Campaign at the SDP primaries was a class act (according to those who were there with them in Jos). He and his sons had walkie-talkies for communication all over the grounds, he bought hotel rooms in Abuja for all delegates for weeks before the convention in fact. Knowing fully well that if Abiola emerged, he would pick a VP from the North, the SE aligned mainly with Kingibe as Atiku was then little known to them. Abiola then aligned with Yar’Adua to consider him as second-choice candidate, promising to give the VP slot to Atiku. Immediately Abiola won however, the Governors in SDP cornered him and offered him their support only on the condition that he picked Kingibe as his running mate. Kingibe as chairman had helped most of them into office. He has relinquished the seat then however for Tony Anenih. Tony Anenih then had come in, with the expectation that a Northerner would pick the presidential ticket of the SDP but even when Abiola emerged, the difference between the SS and SW is more readily seen than the one between a Kanuri Kingibe and a Fulani Yar’Adua – to outsiders. Uthman Tofa emerged as the NRC candidate as a product of th Northern oligarchy – which I should explain: not all Northerners are part of the oligarchy but there is a Fulani core of conservative politicians who are extremely pro-North, perhaps as Afenifere is extremely pro-SW. SE leaders in NRC through Sylvester Ugoh as his running mate aligned with Tofa. The erudite Ugoh had been governor of the Central Bank of Biafra with a very intimidating academic profile. So the stage was set: Abiola/Kingibe for SDP, Tofa/Ugoh for NRC. The SDP ticket was a Muslim/Muslim ticket which was naturally impolitic but the SDP fielded them anyway and soon, an Abiola who had constructed many churches and even donated money to various Christian bodies was soon been tagged anti-Christian in rural grassroots talk. I always say: if you want to know the sexual position in which your father impregnated your mother, go into politics and someone will tell you, swearing they witnessed the act personally. The story that Abiola sunk a shipload of Bibles is entirely a political invention. And one of the deadliest men to confront ever in Nigerian politics was Arthur Nzeribe – the man had a long memory like that of a snake, never forgives like Obasanjo and could badmouth you from house to house like Adegoke Adelabu. Abiola had the misfortune of clashing with him. Abiola went to campaign in Imo and he held a meeting with Nzeribe in Oguta. Nzeribe asked what his stake was in the SDP and Abiola offered him the SGF position (which allegedly he had also offered to Ojukwu in a bid to secure his support). Nzeribe rejected the position. Following the breakdown of talks, Abiola was stoned coming out of Oguta and consequently refused to go back and campaign in Imo. When Nzeribe asked him to return, Abiola is said to have said that he doesn’t need the votes of those who will stone him to win the presidency. Nzeribe took this statement personal and thereafter told everyone that Abiola had said that he would become President without the votes of the entire Igbos. Nzeribe also set up a group called Association for a Better Nigeria to frustrate Abiola’s presidential bid. From May 1993, a series of newspaper adverts began to appear, calling on IBB to stay in power and they were signed by Keith Atkins – the name of a British PR agent who had been hired by the ABN. IBB himself wasn’t too keen to hand over power and assumed Abiola would never win. Abacha is alleged to have warned that Abiola could win but IBB dismissed it, saying Tofa would win. Been hoping to do the MKO Abiola/June 12 thread as promised before now but events are sometimes beyond one’s control. Seeing as tomorrow is the 25th anniversary of that date, I’m sure it is definitely a good time to do it. And so, here goes: a Thread on MKO Abiola and June 12.